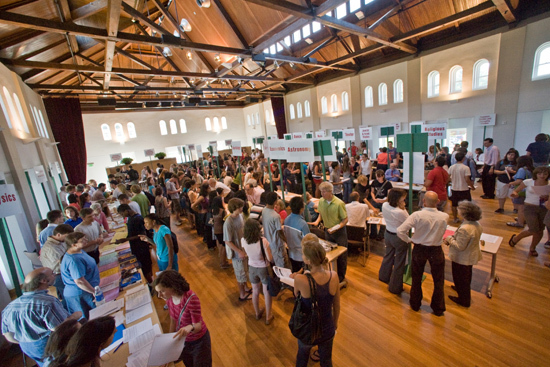 ACADEMIC ADVICE: Students in the Class of 2012 had the opportunity to meet professors and acquire information on majors from all departments and programs during an Academic Forum Aug. 27 in Beckham Hall. 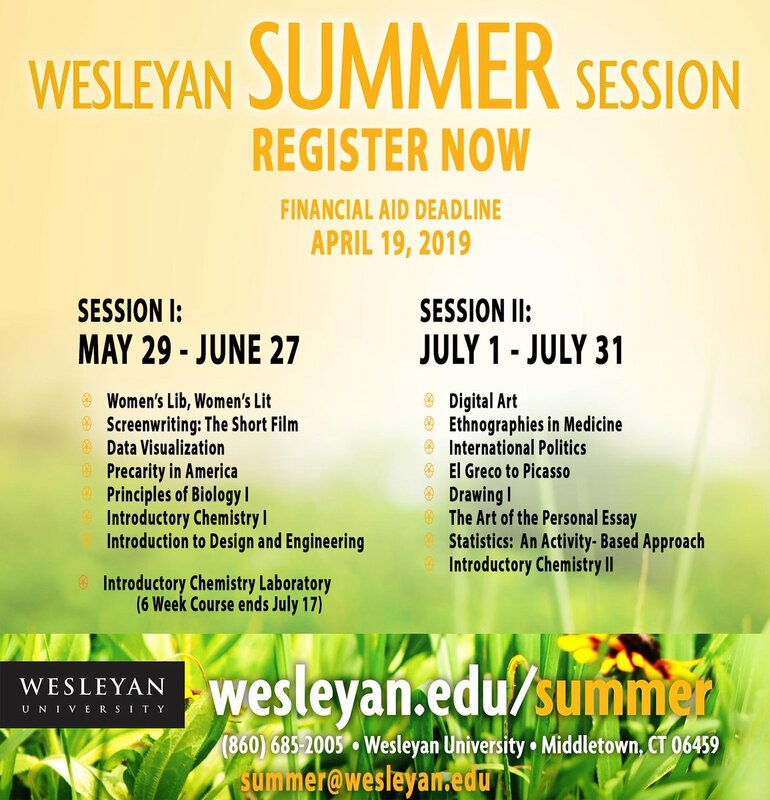 Faculty and department representatives answered questions about course offerings and signed “permission of instructor” and “prerequisite override” forms at the two-hour event. 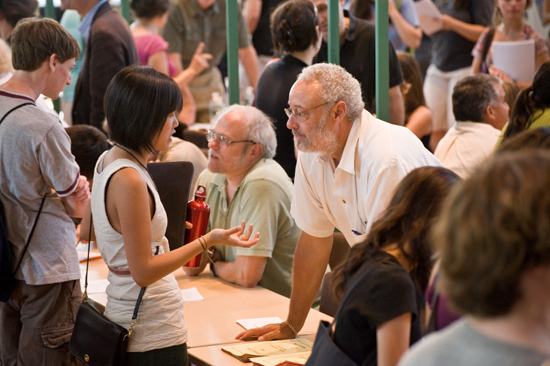 In center, Alex Dupuy, the Class of 1958 Distinguished Professor of Sociology, chair of sociology, talks to a student about the Sociology Department’s courses. 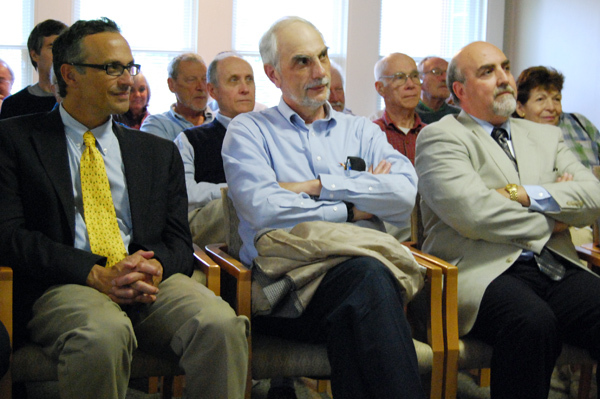 Left of Dupuy, seated, is Joseph Rouse, Chair and professor, Science in Society Program, Hedding Professor of Moral Science in the philosophy department. 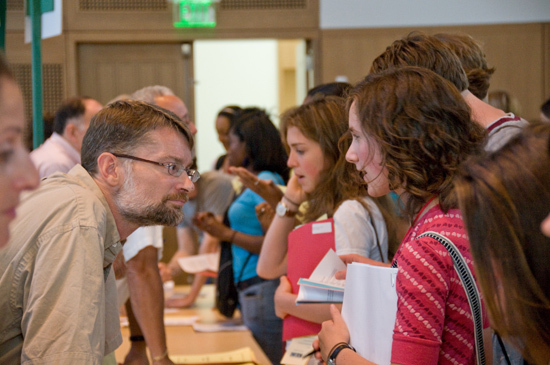 At left, Lynn Westling, visiting associate professor of physics, speaks to a student about course offerings in the physics major. 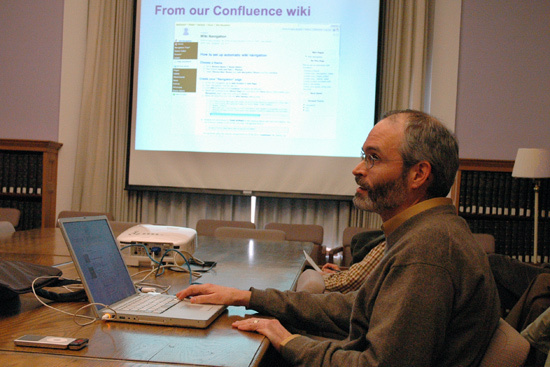 The faculty pictured behind Westling are Francis Starr, assistant professor of physics and Greg Voth, assistant professor of physics. 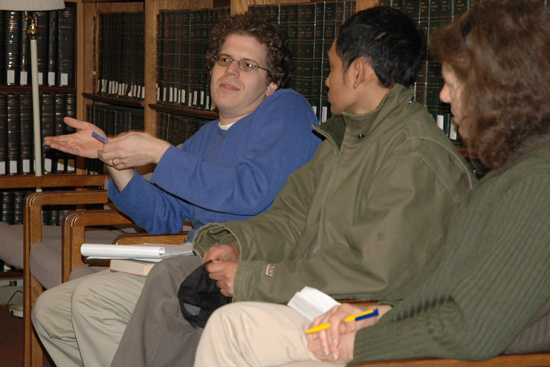 Stephen Angle, left, associate professor of philosophy, associate professor of East Asian studies, speaks to a student about a major in philosophy. 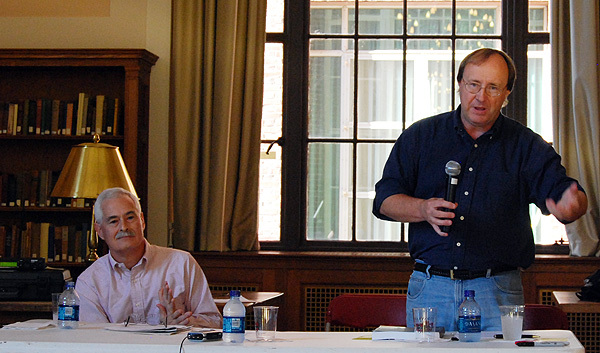 Richard Adelstein, professor of economics, and John Finn, professor of government, participated in a debate titled "Article 1, Section 8, Clause 3 Redux: A Constitution Day Debate" Sept. 17 in the Olin Library's Smith Reading Room. 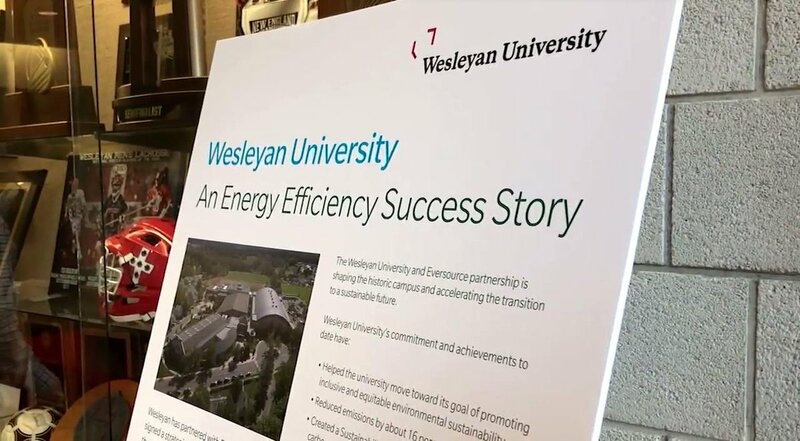 Wesleyan President Michael Roth; Jason Wolfe, professor of biology, emeritus; and Joe Bruno, vice president for academic affairs and provost, professor of chemistry attend a brief presentation during the reception. 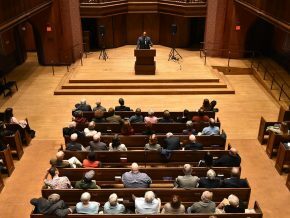 The event honored Wolfe, Richard Slotkin, Vera Grant, adjunct professor of German studies, emerita; and Gayle Pemberton, professor of English and African American studies, emerita. 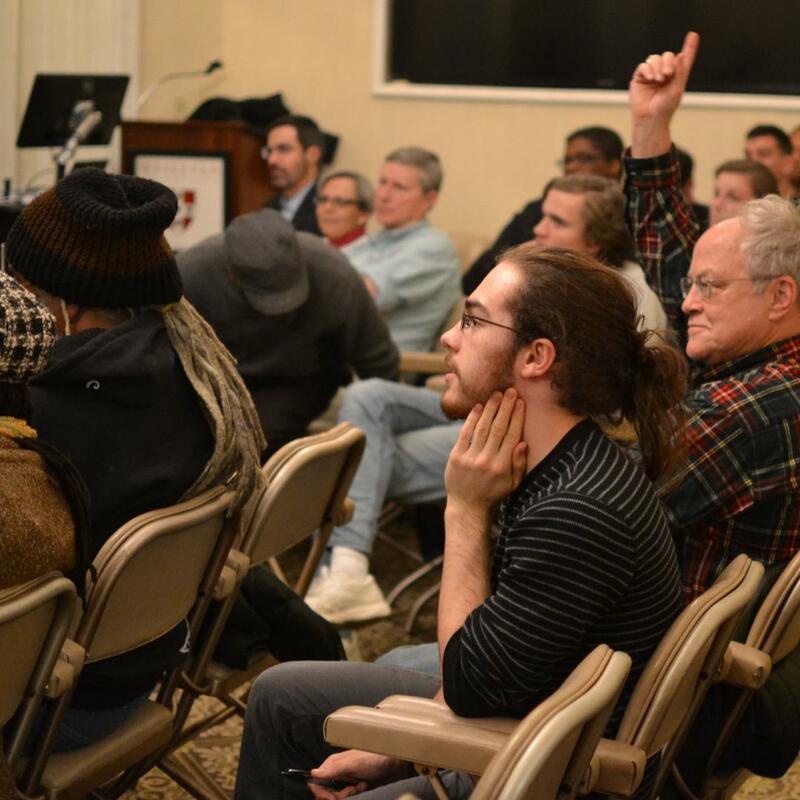 Grant and Pemberton were unable to attend the event. 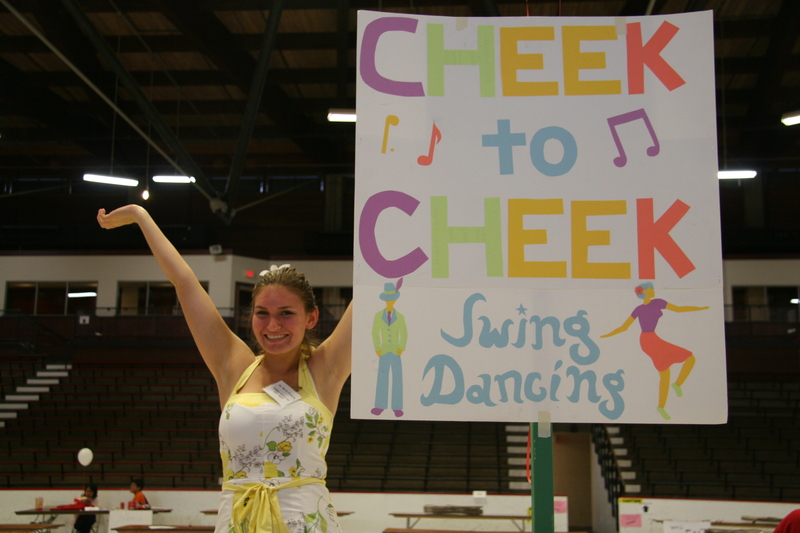 The 17th Annual Student Activities Fair was held Sept. 19 in the Spurrier-Snyder Hockey Rink. 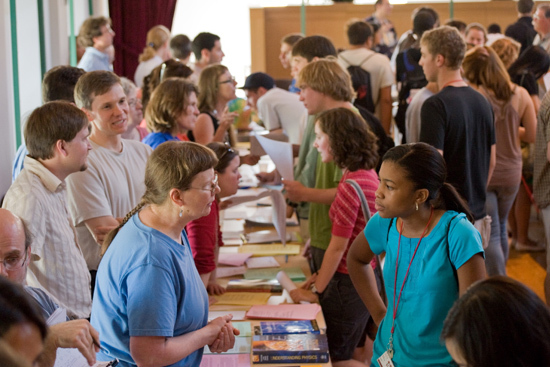 Student groups and organizations, such as a student swing dancing ensemble pictured above, provided information, sign-up sheets, materials and performed activities associated with their individual organizations. 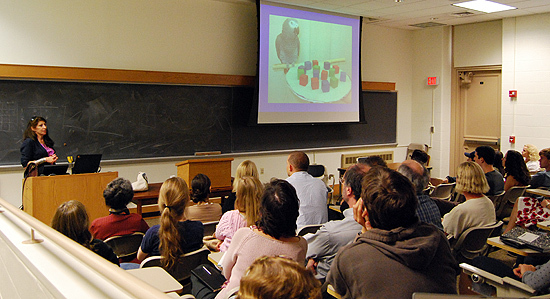 Irene Pepperberg of the department of psychology at Brandeis University and Harvard University, spoke about "Cognitive Abilities of Grey Parrots" during the Psychology Department's Colloquium Series Sept. 11 in Judd Hall. The Killam and Bassette Farmstead of South Glastonbury, Conn. sells fresh fruit and homemade fleece scarves and hats at the third annual Wesleyan Farmers Market held Sept. 10 at the Usdan University Center courtyard. 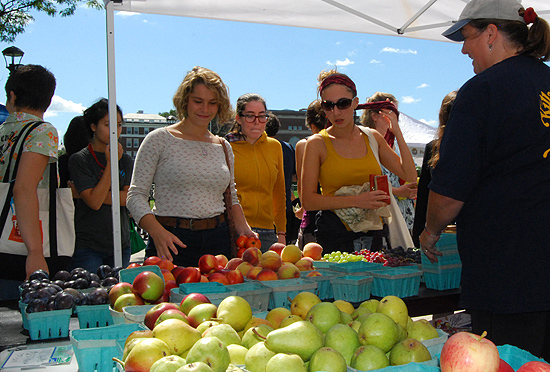 The market will be on campus every other Wednesday throughout the fall semester. Twenty-one first-year students participated in a Ravine Park community service project Aug. 30 under the guidance of Brian Stewart, associate professor of physics. 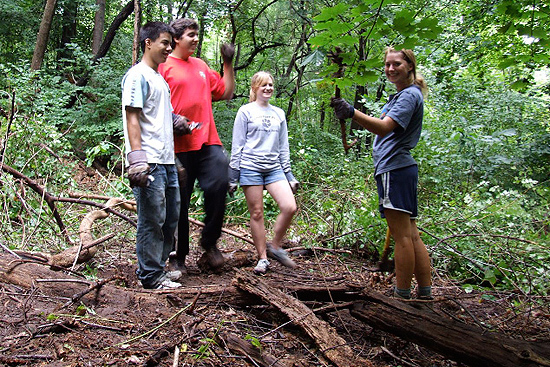 The students removed several invasive alien species including Japanese barberry, oriental bittersweet and multiflora rose. 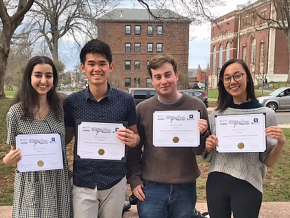 Pictured above, from left, are Kuan-lin Huang '12, Jonathan Silva '12, Hannah Monk '12 and Katherine Mullins '12. 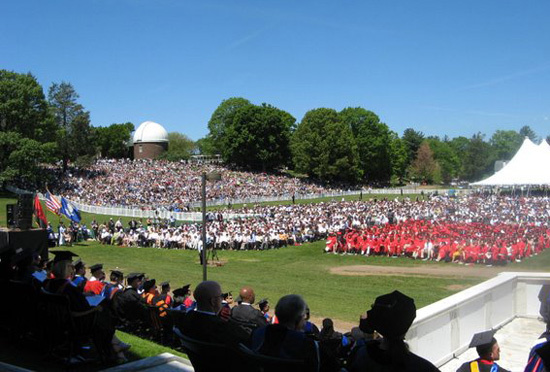 GRAND GRADUATION: Wesleyan University’s 176th Commencement ceremony on May 25 awarded 737 undergraduates bachelor’s degrees, 29 master of arts degrees in individual fields, 64 master of arts in liberal studies degrees and 12 Ph.Ds. 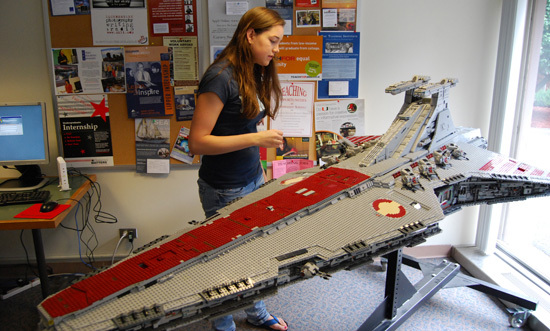 Commencement speaker U.S. Senator Barack Obama (D-Ill.) spoke spoke about challenges graduating students faced from the daily “busyness” of their own lives to the needs for clean renewable power, more teachers for disadvantaged children, to rebuilding New Orleans. 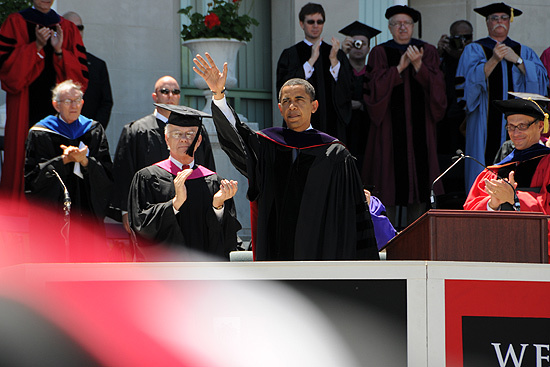 To Senator Obama’s left is James van B. Dresser ’63, chair of the Wesleyan Board of Trustees; to the Senator Obama’s right is Michael Roth ’78, president of Wesleyan. 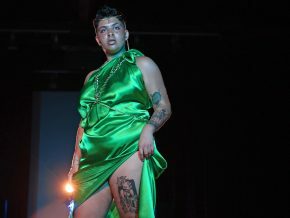 More than 15,000 guests attended the ceremonies to observe the ceremony. 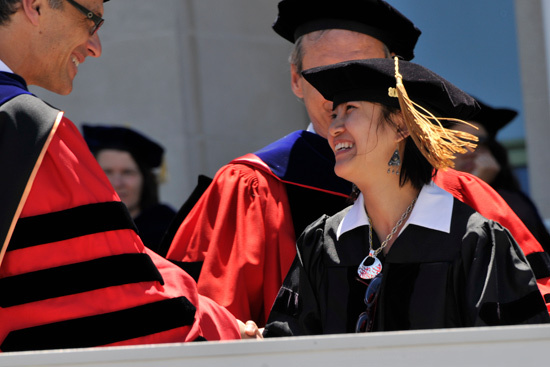 President Roth congratulates Siying Chen for receiving a doctor of philosophy degree for molecular biology and biochemistry. 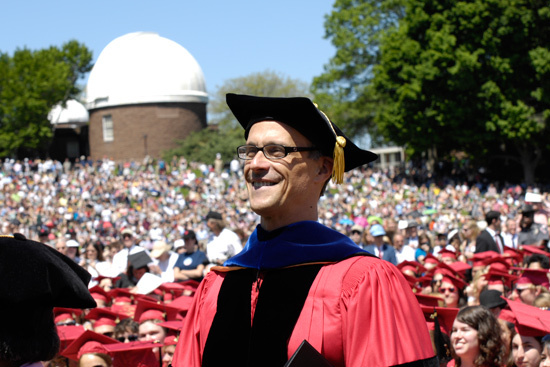 During his remarks, President Roth advised the new graduates to shape the culture in the future, so that it will not be shaped by forces of oppression and violence. 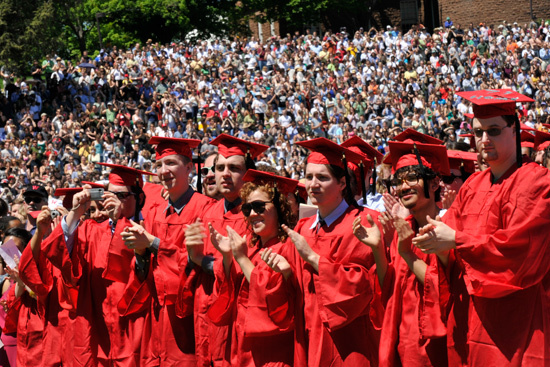 Members of the Class of 2008 applaud Senator Obama during his speech. 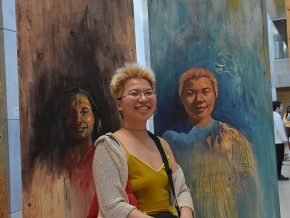 (Photos by Bill Burkhart, Nicky Lacy, Ryan Lee and Steve Stemler). 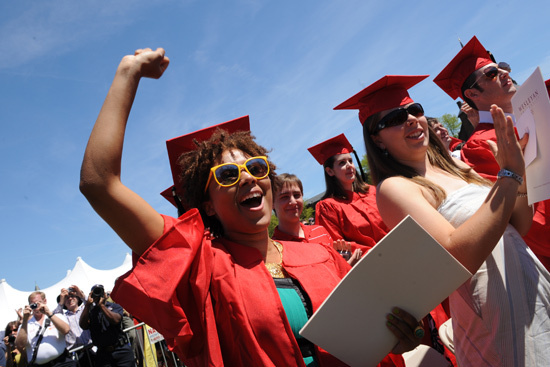 Additional photos of the 2008 commencement are online at: http://www.wesleyan.edu/newsrel/announcements/rc_2008/gallery_2.html. 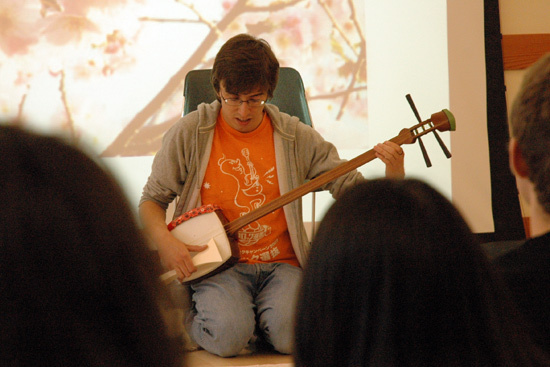 CHERRY BLOSSOM FESTIVAL: Adam Black ’09 leads a Japanese song titled “Sakura” during the Cherry Blossom Festival April 29 in the Mansfield Freeman Center for East Asian Studies. 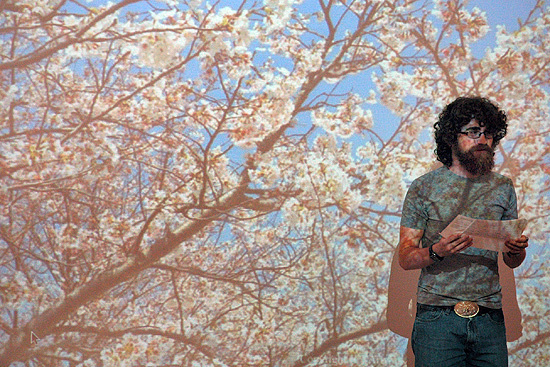 In Japan, “Hanami” is the traditional custom of celebrating the beauty of cherry blossoms with food, song and parties. Some celebrate the event by taking walks near the trees and renewing their spirits. 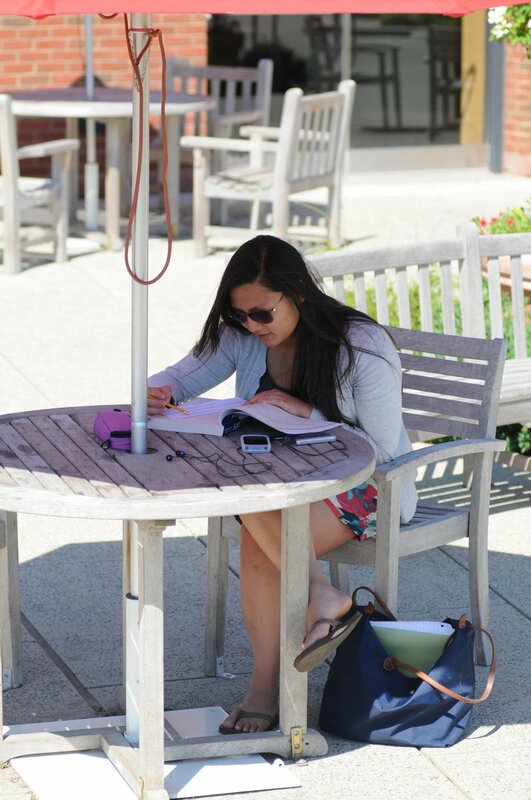 Students, such as Elizabeth Goldgar ’11, took turn reading poems during the festival, which was attended by more than 50 students from several majors. 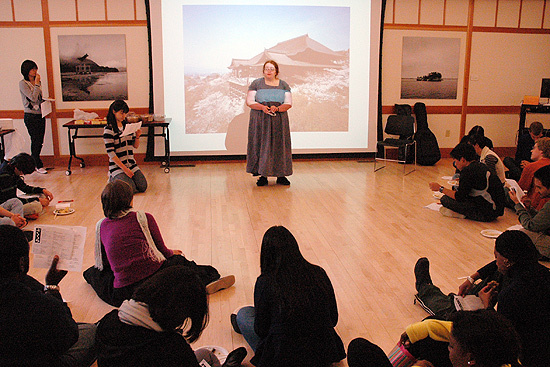 The students read poems in Japanese and translated them into English. 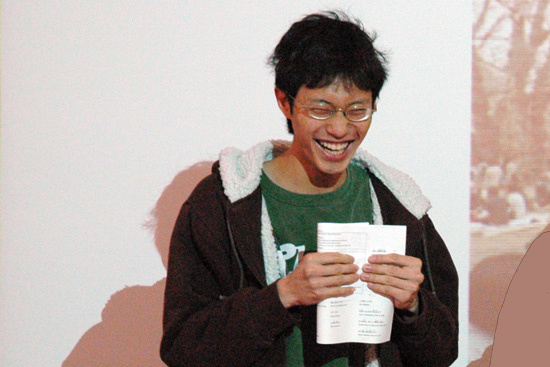 Chia-Wei “Wade” Hsu ’10 enjoys reading a humorous poem written by another Wesleyan student. 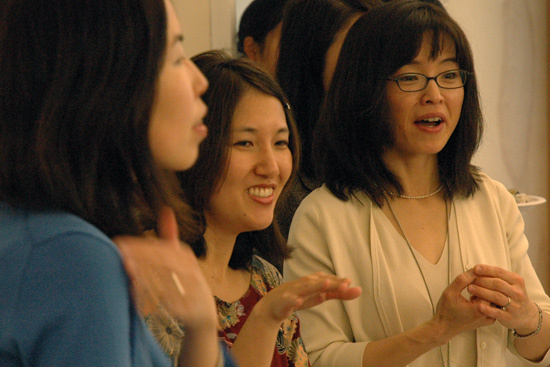 Pictured left to right, Terry Kawashima, chair of the Asian Languages Department; Miri Nakamura, assistant professor of Asian languages and literatures, assistant professor of East Asian studies;and Etsuko Takahashi, adjunct assistant professor of Asian languages and literatures, adjunct assistant professor of East Asian Studies, applaud the student poets during the festival. 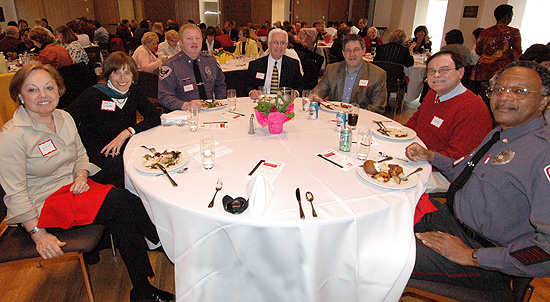 EMPLOYEE RECOGNITION: Wesleyan President Michael Roth speaks to the 102 attendees of the Wesleyan Employee Service Recognition Lunch for employees that have worked at the university for 20 years or more. 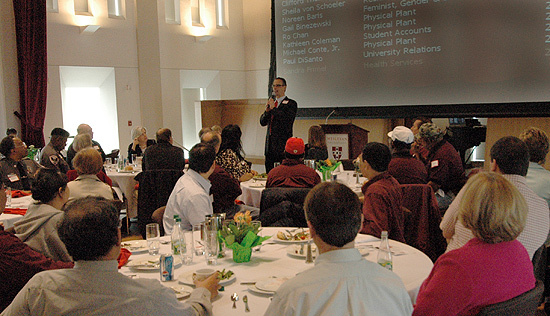 The event, held inside Beckham Hall in the Fayerweather building, was coordinated by the Office of Human Resources. 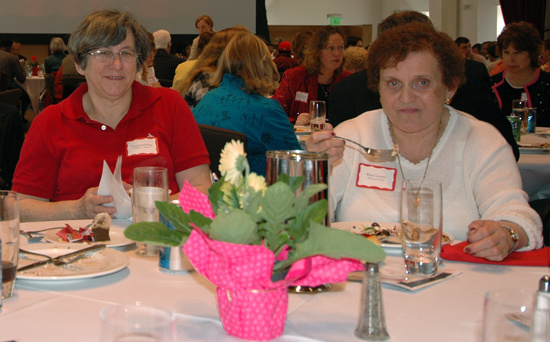 At left, Ilana Konerding, postal clerk at Wesleyan Station, celebrated her 23rd year at Wesleyan, and Rita Corsino, custodian in Physical Plant-Facilities, celebrated her 22nd year.